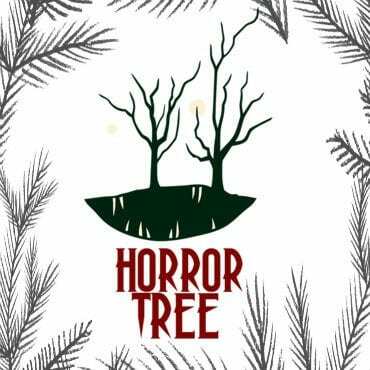 Selene – Thanks for joining us here at The Horror Tree! First off, tell us a bit about yourself, as your bio information is a little thin out there on social media. Ellis – Thanks for having me here, I’m very excited about the questions which await me. Okay, I’m just a sixteen-year-old trying to turn my passion into a job – that’s been one of my main goals since I started writing. I live in Leicestershire, England with my parents and three siblings. – and dog. I’m a college student currently studying Level 2 IT. I’m a huge fan of rock and metal, horror movies and books, and photography is another hobby of mine. Selene – You’re one of our younger author friends. How long have you been writing, and how did you start? Ellis – I’ve been writing since I was ten or eleven when a teacher recommended Cirque Du Freak by Darren Shan to me. Ever since then, I have been a huge fan of Darren Shan, and have been writing my own stuff. He’s definitely been a huge inspiration to my writing. I started writing original fiction, then I began to write fanfiction (a terrible Star Wars fanfiction), and then went back to original fiction. When I was fourteen, I was in a Business Studies lesson at school, and the teacher was talking about how you can do anything with the internet nowadays, using the example of publishing books. I went to him after the lesson and asked him about publishing, and he said I can self-publish through Amazon. So, I went home that day, looked into it, and within a year, I published my first book. Selene – What draws you to the horror genre? Ellis – If you’re wondering what draws me to the horror genre when reading or watching, it’s the terrifying experience I’m after – mainly because I love to get scared. But if you’re wondering what draws me to horror when writing a manuscript, I want to create a dark tale for everyone to read, but still keeping it realistic. In my work, I usually include realistic problems like alcoholism, or suicide, or abusive relationships to keep it realistic and dark, and it sets the tone for the book almost instantly. But, I still want to add in the supernatural side of things – like ghosts. That’s my goal, to make terrifying books, and maybe even make horror movies in the future. Filmography is something which I’m looking into at the moment. Selene – I picked up Prodosia, and I thought it was an interesting if unusual premise. Since vampires are supposed to already be dead (or undead), the idea of what happens to them when they die is an interesting thing to contemplate. What inspired Prodosia? Ellis – Ah, thanks so much! Indeed, it is a very strange but interesting idea to contemplate, and one that I’d love to delve deeper into more. The inspiration for Prodosia came to me once I played the video-game ‘Murdered: Soul Suspect’ and listened to the song ‘Chalk Outline’ by Three Days Grace. To be honest, I have no idea what inspired the vampire aspect of the story – I did use to have a fascination with vampires, so that’s probably where it came from. Also, speaking of Prodosia, me and Hiyaryu – the editor of Prodosia – are contemplating a possible sequel or prequel. Now, I’m not confirming that there will be one because it’s also quite possible that there won’t be. Selene – More on the cheery subject of death, do you believe in ghosts yourself, and have you ever seen one? Ellis – It is a fascinating concept to think about what comes after death, because I believe in reincarnation, but I also believe in ghosts. I think when you die, you get the chance of either passing on to be a ghost, or you can be reincarnated. And no, I haven’t seen any ghosts, but I believe there was one in the house I used to live in – there was usually tapping on the radiator at night. Selene – What are some other influences on your writing? Ellis – As I’ve already mentioned, Darren Shan is a huge influence on my writing. But in recent years, I’ve been trying to follow in the footsteps of the master of horror, James Wan (Director of Insidious, SAW, and The Conjuring.) I really look up to him as a director, and I thoroughly enjoy his work. 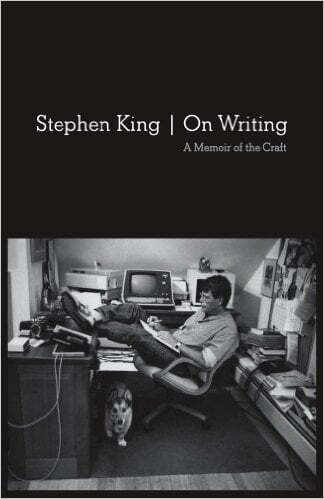 I aim to make my writing as scary as his movies, which is going to be a huge challenge. My third inspiration would be Stephan Collishaw (author of The Last Girl, Amber, and The Song of The Stork) because he’s a great author. He’s also my English teacher, and I used to stay behind after school to get creative writing lessons from him, which was always a big help. Selene – Your Amazon author page mentions music, particularly heavy music, is an influence on your writing, and some of your stories were inspired by songs. Tell us about that. What are some of your favourite bands? Ellis – Yes, Prodosia was inspired by ‘Chalk Outline’ by Three Days Grace, and a certain chapter in TY was inspired by the music video for ‘So Cold’ by Breaking Benjamin. I have a lot of favourite bands, and off the top of my head, I can list a few. Breaking Benjamin, KoRn, Linkin Park, Nirvana, Three Days Grace, Rage Against The Machine, and even Sum 41. And one of my favourite musicians is Joseph Bishara (he isn’t in a band, but he’s amazing!) He composed the score for Insidious with shrieking violins that are absolutely terrifying, and I even wrote Ty along to that same score. Selene – When I was in high school, way back in the 80s and 90s (before the tectonic plates shifted, you know!) heavy metal and horror went together like the sun and the sky! I’m pleased to see that metal’s influence hasn’t gone away. What metal-inspired horror books or movies would you recommend to our readers? Ellis – Hmm, I don’t know any metal-inspired movies or books. Selene – I notice on your Facebook profile that you’re interested in photography. What kind of subjects do you like to work with, and do you find that photography influences your writing? Ellis – Animals, definitely animals! I love animals, but the probably with taking photos of them is the fact that they are hard to keep still. I also love taking photos of nature. I don’t think it really influences what I write about, but I make my own book covers – taking the photos for my book covers too. That was even me on the cover for Prodosia, portraying the character of Adam. Selene – How do you develop your characters? Are they based on any real people you know? Ellis – I tend to add bits of myself into characters, whether that be looks or traits. In my newest novel TY, the character Ty hates getting his hair cut, and so do I. I’m trying to grow my hair and usually the hairdressers cut off too much when I go to get it cut, so I added that trait to Ty. Selene – So far, you’ve self-published your work on Amazon. What made you decide to go that route, instead of approaching a traditional publisher? How has the experience of self-publishing been for you? Ellis – When I was looking into self-publishing, I found out that you have more freedom with that route. For example, with self-publishing, you can choose your cover. But with a traditional publisher, they pick the cover for the book for what looks eye-catching to provoke people to pick it up off the shelf. The self-publishing experience has been great, although I like publishing with KDP, they also have their downsides. But they always listen to the community and the problems we point out and try to make their platform better. Selene – As a newer writer, if there’s one thing you could change about horror literature, or accomplish with your writing, what would it be? Ellis – One thing I could change about horror literature……. I absolutely don’t know. I guess the one thing I could change about horror literature is to make it scarier. Because you can have a horror book – or movie – but that doesn’t necessarily make it scary. I want to make horror literature terrifying. Selene – Is there any advice you’d give to someone your age (or any age, but especially from a youth perspective), who are just starting out in writing? What have you learned from your journey so far? Ellis – Carry on writing, and don’t give up. I know, that sounds very cliché. But, you need to carry on writing. Can’t be bothered to write today? Write anyway! Don’t shy away from writing, or you’ll never get your book done. Also, write what you want to read! And, reading always helps with writing, because as you are reading you can pick out techniques which your favourite writers use, and try to use the same techniques in your own writing. Selene – Is there anything else you’d like to tell us about your writing, or any upcoming work? Thank you again for chatting today! Ellis – I have ideas for loads of books running around in my head, but I’m only comfortable with saying a few of them. There will be two sequels to Ty, called Ty: Chapter 2 and Ty: The Final Chapter releasing this year and next year. In the coming years, I will also be releasing my first coming-of-age book called I Owe You My Life. I’m not going to give too much away for this book, but the boy is bitten by a dog when he is young, leaving him with a fear of dogs. When he’s older, he tries to end his life, but a dog saves him. Thank you, it’s been a pleasure!